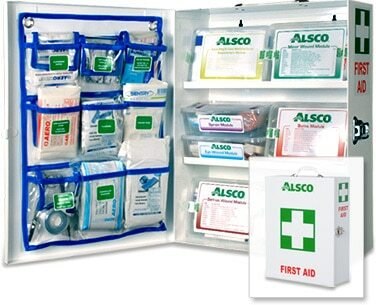 Buying first aid supplies requires you to constantly re-stock them, source quality industrial first aid supplies and stay up-to-date with changing WHS legislation in New Zealand. 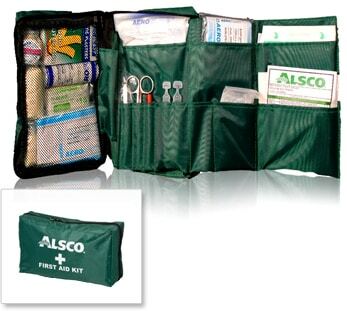 Alsco’s rental program takes all of that headache away, giving you peace-of-mind. It even takes away the financial burden of capital outlay and depreciation, replacing it with a tax deductible service. 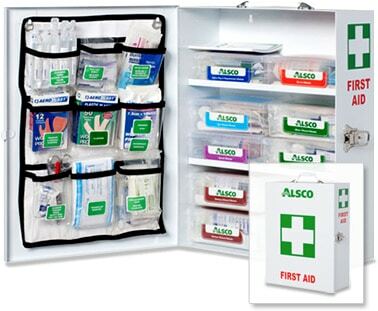 Why are Alsco’s First Aid kits better than the rest? 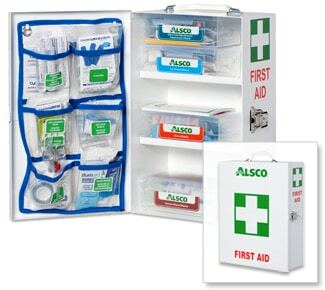 With Alsco’s Managed First Aid Kit Service you can be sure that you’ll have the first aid supplies you need, specific to injuries, on hand every time. 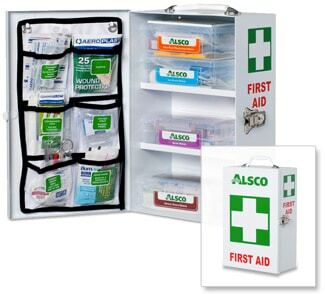 Suitable for New Zealand workplaces in office, retail, hospitality and industrial environments where first aid needs to be quickly attended to. 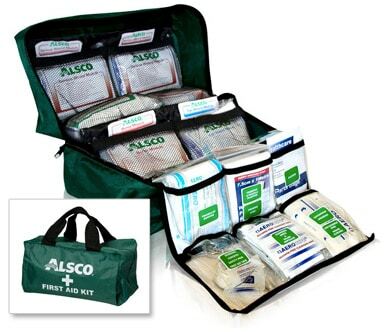 Alsco deliver the kit to your premises, install and then maintain the refills and check the injury register to ensure your business is compliant with New Zealand WHS regulations.